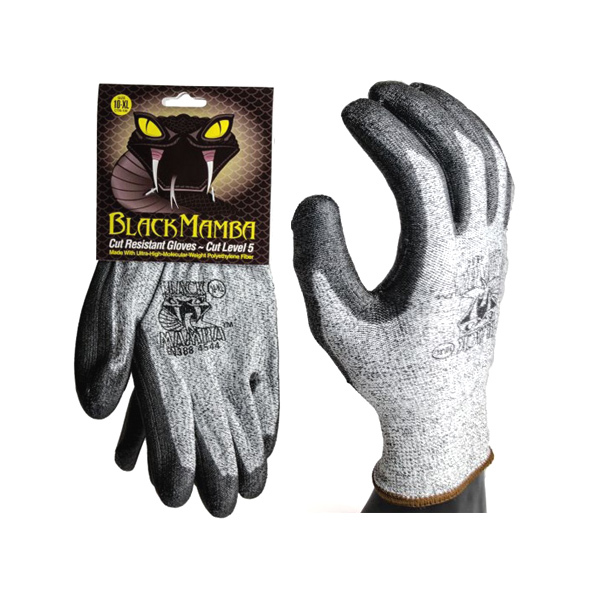 The Black Mamba Cut Resistant Work Gloves are made from Ultra High Molecular Weight Polyethylene Fibre (UHMWPE), which has a tensile strength relative to its weight of up to 15 times that of steel. This means that the glove stays lightweight and comfortable while offering superb resistance to cuts, tearing, punctures and abrasions. Our Black Mamba Cut Resistant Gloves PR-CTR are usually delivered by standard 1st Class Royal Mail and will typically arrive within 1 to 3 working days after dispatch.